When Will and Erica Costa got home from their vacation this month, it didn't take long for them to realize someone had been at their front door. 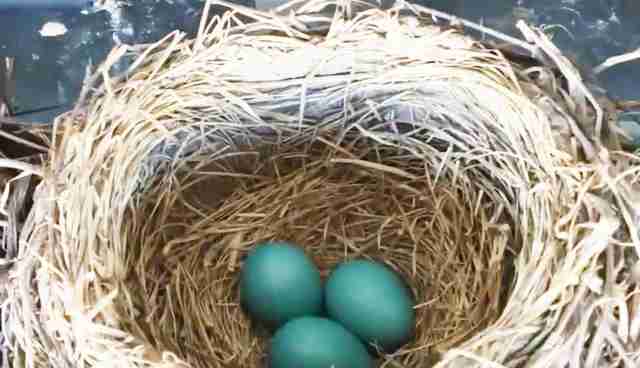 In fact, that someone left a calling card - three pale blue eggs. 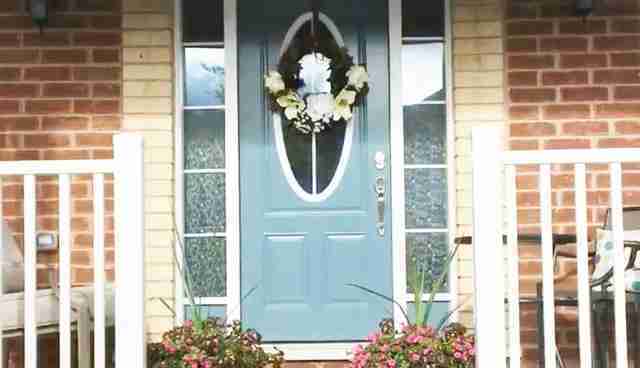 A robin had decided to make a nest in the wreath that hangs over their door. Instead of trying to move the nest to a place that would be a little more peaceful, Will saw an opportunity to catch a rare glimpse of the secret life of a bird family. After all, he had the perfect view. Of course, it didn't take long for the mother bird to make an appearance. But she seemed more caught up in doting on those eggs than anything else. 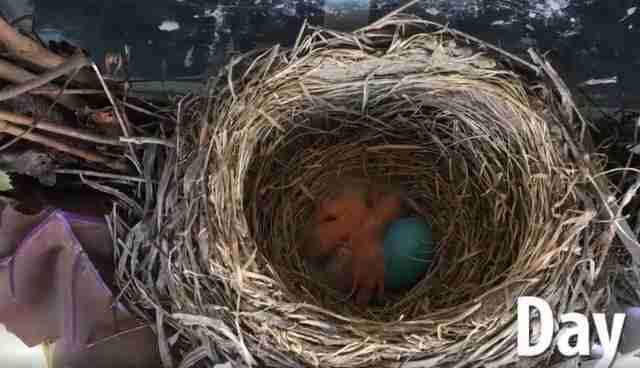 And, on just the second day of watching the nest, Will saw the eggs begin to crack. Life entered the world, one tiny, squeaking baby at a time. "Every day, they looked a bit different," Will told The Dodo. "Even from day to night." The only constant, it seemed, was hunger. But the mother bird was there for them. By the fourteenth day, those eyes were staying open a lot longer. Where did they go? Well, everywhere. The baby birds had taken their first leap of flight and were skittering around the yard on tiny wings of uncertainty. "And just like that, we were empty nesters," Will says. 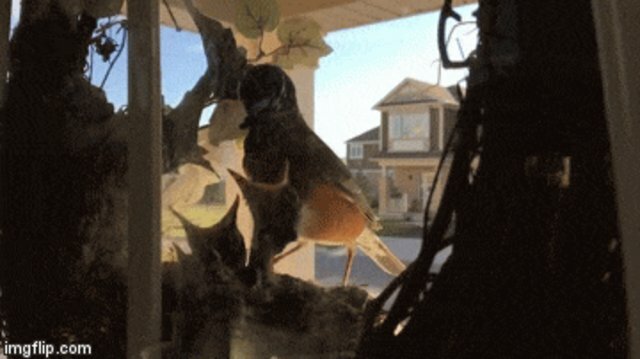 Leave it to a bird to show us how to raise a beautiful family in the suburbs. Not every bird has a picture-perfect childhood. 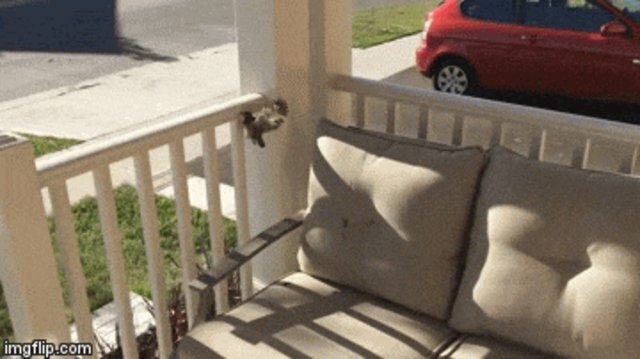 If you happen to see a baby bird in trouble, here's what you can do. You can follow Will Costa's camera-toting adventures on Instagram and on Facebook.